I was house bound during a recent snow storm, so I jumped in my car and took a drive to see what I could discover. On a backroad just outside St Thomas, Ontario, I came apon this scene. 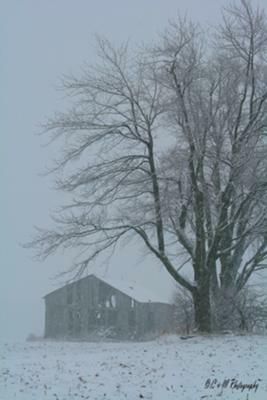 An old barn gently covered with the fresh snowfall.